The soundtrack on PC is too much compressed, after porting the PS2 soundtrack, here's the best output taken from the Xbox. Converted directly from the game files. Last edited by Catarax on Wed May 10, 2017 4:03 pm, edited 8 times in total. When I download "Random Soundtrack Fix (THUG2 only)" I actually get "TonyHawksUnderground2.WidescreenFix" instead. Did you uploaded wrong folder or is that actually correct one? Where do I put those files? 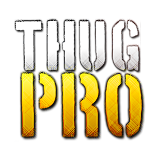 idemoopet wrote: When I download "Random Soundtrack Fix (THUG2 only)" I actually get "TonyHawksUnderground2.WidescreenFix" instead. Correct one, the widescreen fix includes a random ost patch.